In Bara district, where the ‘living Buddha’ meditates, more than a million Hindus are preparing to sacrifice half a million animals during the festival of Gadhimai Mela. Actress Brigitte Bardot wants the inhumane practice stopped. More than 12,000 police agents are mobilised for the occasion. 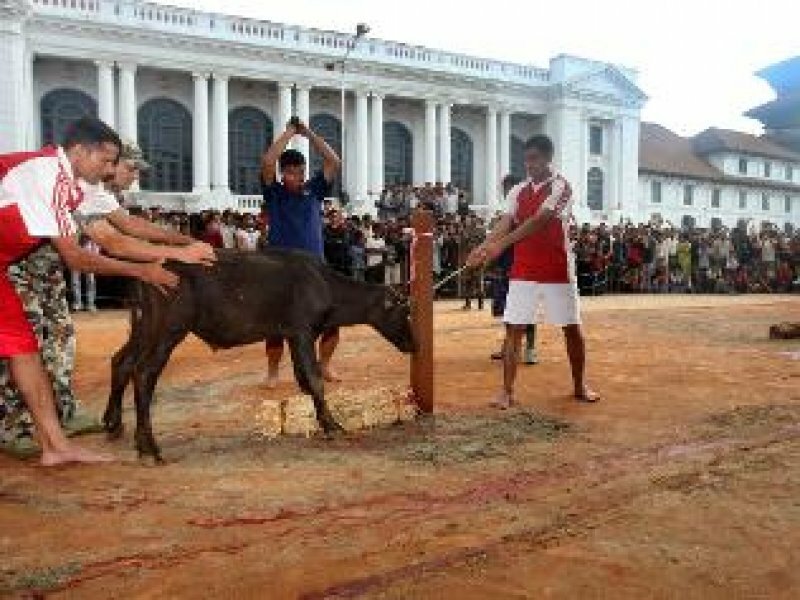 Kathmandu (AsiaNews) – Hundreds of Buddhists and animal rights activists are protesting against the Hindu festival of Gadhimai Mela in Bayapur, Bara district (southeastern Nepal). During the event, half a million animals will be slaughtered. More than a million Hindu pilgrims are expected to gather for the occasion on 25 November. Nepali authorities have deployed more than 12,000 police officers.